XACT and font rendering in the XNA Framework. your Xbox 360 and enable deployment of XNA framework requires that you join the Creators Club which has a cost associated. and future columns will be based on the updated version so if you have not already upgraded then go and download now. Then read about the new features and check out the API changes. There’s an interesting bug in the build from last time which is hard to reproduce. can see the discussion about this item in the XNA Audio forums. multiple instances. 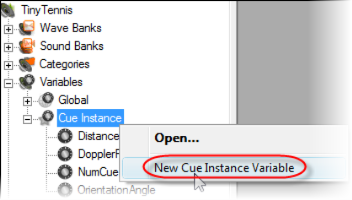 Open up the .xap project from the project folder and open the sound bank window and make the following changes. sound. The only obvious advantage is that you can play more than one sound at a time. that is in the XNA Game Studio Express folder. Since XACT often changes with the DirectX SDK you need to use the one which is compatible. is rename the variable to BallSpeed. in a moment. Right click the RPC Preset node that just created and rename it to BallSpeedEffect. preset you must drag and drop the sound onto the preset. 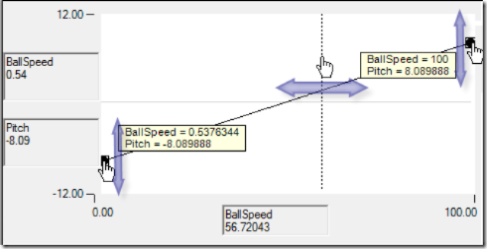 and the Variable to BallSpeed – which is what we will pass in to the program. 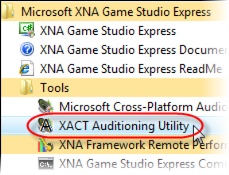 place as you found the XACT editor in the Game Studio Express folder. appear. Minimize it and forget it’s there. from multiple screen shots (should be obvious since there are 3 mouse pointers) but you should get the general idea. by a factor of 8 and an input of 100 will raise the pitch by a factor of 8. You can add points to the curve, make flat parts – whatever you want. So the work in XACT is done. Save the project and open the C# solution file. into XACT. The code to play the sound changes a little too. Run the app and listen to the pitch of the bounce increase as the ball speed increases. supported on the Xbox 360 version of DirectX. 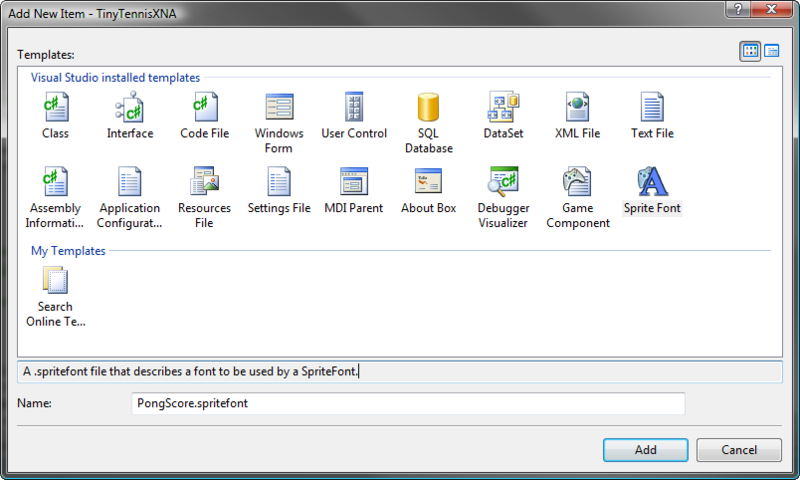 release font sample and integrates into the SpriteBatch API that you have used in previous columns. do we actually add the scores to TinyTennis? Thankfully the XNA Framework guys have made it very easy. After you have saved it don’t forget to drag and drop the PongScore.spritefont into the TinyTennis360 project too. Notice the color overloads to give each player a different color score. 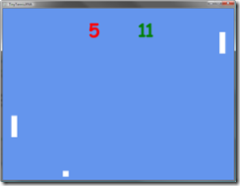 any ideas, find bugs, or have requests about which bits of XNA you would like tutorials for.